Why is Japan funding India for the bullet train/smart city project? In recent years, china rapidly increasing its influence across South Asia and South East Asia in the name of Infrastructure Development ( like CPEC deal with Pakistan), Later this year china succeeded in winning a Jakarta-Bandung High Speed Railway Project along with this Chinese bullet train technology impressing other countries across the world, this creates a tension over Japan. Japan looking for opportunity to counter china, this opportunity comes with India’s High Speed Railway Project. 1. 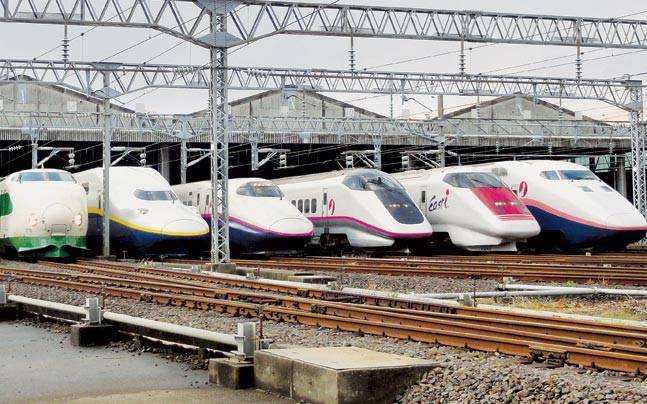 Japan wants to enter International Market (high speed railway) using this project. 2. Japan already one of the contenders in the California’s high speed railway project, the success of this project helps to convenience America. 3. Along with Mumbai-Ahmedabad corridor, India planning to make other six corridors across the country, the implementation and success of this project helps to convenience India for gaining other projects. 4. There is a tough fight between china and japan to win over 2026 Singapore –Kuala Lumpur high speed railway project. Mumbai-Ahmedabad project make a road for Japan. Whatever may be the Japan’s interest? Overall this project improves Economic Cooperation and Regional Relationship between India and Japan.